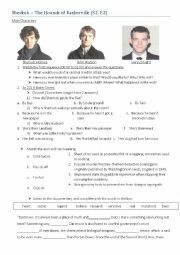 Here goes a worksheet to deal with the BBC´s Sherlock Series. It´s the 2nd episode of the 2nd season of the series. I used it after my students read the original story. Hope you like it!! thanks for downloading in advance! Here´s a little pictionary I made for my students. 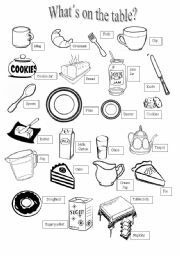 I hope it´s useful to complement your lessons on food or manners! thanks for downloading in advance! 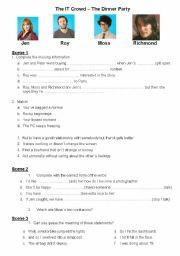 A race-like activity for children! each of them gets a sheet of paper, colour pencils and picks a card. The one who finishes the drawing following the instructions correctly wins the round. If you have colour board-markers it can work also as teams. thanks for downloading! A highly recommendable episode from the second season of the series. I used it with my adult students and they became aware of how language works spontaneously. Thanks for downloading! This is a song about Eminem´s comeback to music after addictions. Make sure you read it before using it. You might use it to motivate your students to overcome difficulties!! It might take your students sometime to recognize the words. Thanks for downloading in advance! Some after watching activities for the movie! Hope you like it! thanks for downloading! 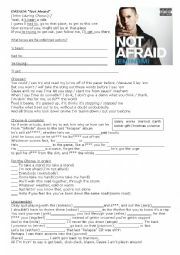 This worksheet is a mixture of worksheets by other authors (one of them is Arduini)I hope you like it! thanks for downloading! 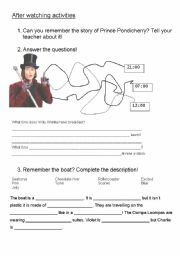 follow the clues and complete the chart! FULLY EDITABLE! KEY INCLUDED! 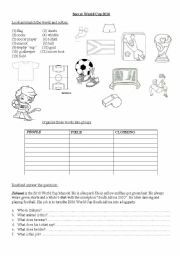 The students follow the clues given by the celebrities to complete a chart including their birthdays, countries and nationalities. 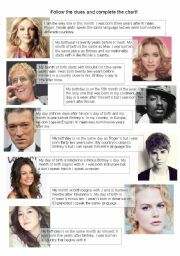 I used current celebrities and not so famous ones to make it a bit more difficult! 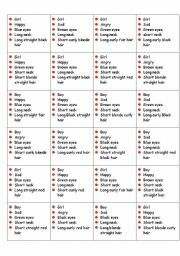 (This also triggers comparatives and superlatives!) Hope it´s useful! thanks for downloading in advance! 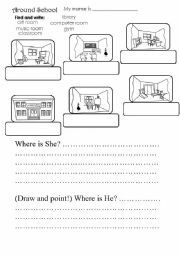 It´s a very simple worksheet in which the students will be able to wrap up spelling of the rooms at school, as well as answering where is...?